Poletti Wine, as an agricultural family estate, is located in an Istrian village Marcovac, near Višnjan. When Peter-Piero Poletti took over the estate in the late `90s, he winded up the vineyards and increased the capacity of wine cellar. Nowadays, the estate has 7 acres of vineyards and produces 6 grape varieties: Istrian Malmazy – Istrian Malvazija, Chardonnay, Teran, CABERNET SAUVIGNON, Merlot and Red Rose Muscat. 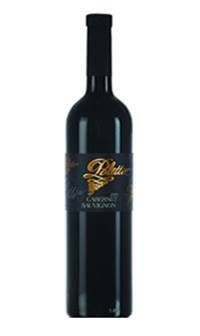 Poletti wines can be found on the wine menus of the most renowned Istrian restaurants and even wider. Since these wines take part in the most popular guide-books, numerous guests visit our wine cellar and taste our wine throughout the whole year. There is a possibility to organize and guide the groups on the basis of a prior notice. Poletti wines are a result of the tradition, the latest technology and the knowledge in the field of enology. Our Istrian Malmasy (Istarska Malvazija) is grown on the three locations: Rogovići, Vala and Brajde, 200 m above the sea level, on the slight slope turned towards the sea. The main vineyards were planted in 1972 and 1982. After the fermentation process, the best grape varieties from the three locations get blended. 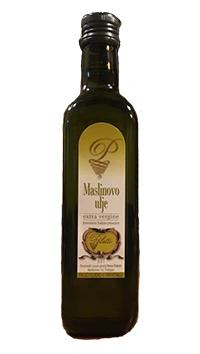 Istrian Malmasy (Istarska Malvazija) is characterized by a straw yellowish colour, with a light green hue. Its aroma is fruity and floral, while its flavor fresh, mineral and pleasantly smooth. To be paired with: Fish, seafood, white meat, pasta and light sauces. 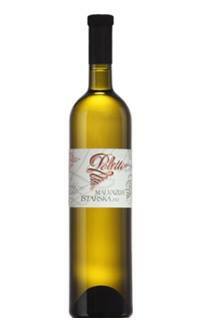 Malmasy Classica Poletti (Malvazija Classica Poletti) is produced from grapes mainly grown in the vineyards Brajde. 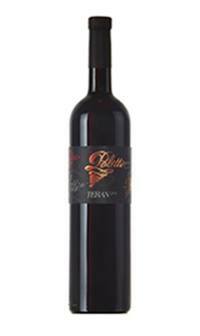 This wine has a lot of alcohols and a very strong flavor due to poor harvests as well as scarce red soil. It is produced throughout the controlled fermentation in barrique barrels – 30% in acacia and 70% in oak wood, without maceration. It has a soft and powerful aroma with discreet woody notes. Its colour varies from straw yellowish to intense yellow. 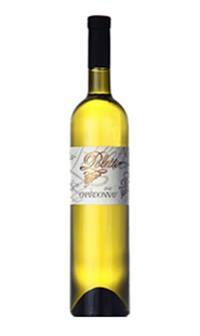 To be paired with: Grilled fish, shrimps in “buzara” sauce. On the location Rogovići, there is a plantation of Chardonnay which matures early and gives wine with a higher per cent of alcohols. Besides higher alcohols, the wine has pleasant acidity and minerality, it retains freshness, which makes it smooth and powerful. It has a nice yellow-green colour, with fine tropical notes. To be paired with: Grilled fish and white meat. Teran Poletti is an old Istrian autochtonous grape variety, planted in 1982, on the location Vala. 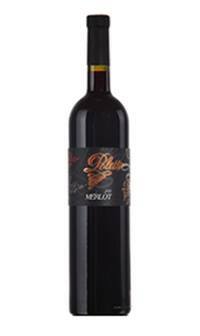 As a young wine it is characterized by a dark ruby red colour, with its hues towards purple. Its aroma is dominated by red berry fruits: mainly black cherry. This wine is produced by using maceration within at least 15 days and afterwards it matures for at least a year in big oak barrels, by which this wine loses its bitterness and becomes soft, robust and full-bodied. To be paired with: Istrian prosciutto, sausages and ombolo (pork fillet). CABERNET SAUVIGNON is produced from grapes grown on the location Rogovići, from relatively young plantations. In the productive years it gives extraordinary results. Its enviable feature is a purple red colour, with a granite reflexion. It is produced by using maceration of approximately 15, consequently by aging in wooden barrels and then after 5 years it is launched onto the market, when it is perfectly mature and ready for consumption. To be paired with: red meat and venison. Merlot Poletti is grown on the location Rogovići and Brajde. Yong vineyards give amazing results almost every year. The wine is produced through maceration process within 15 days, and after that it ages for a short period in wooden barrels. It has a peculiar ruby red colour, moderate structure, it`s quite smooth and has an intense raspberry aroma. To be paired with: Istrian prosciutto, meat dishes. 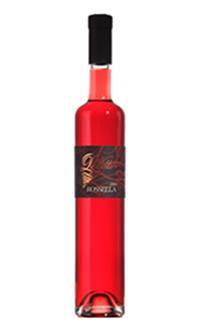 Red Rose Muscat-Rossella Poletti vineyards are located on the territory of Rogovići. They are alternatively planted together with Teran as a pollinator. The olive grows are located in Brajde and Stare Brajde. We possess cca 200 olive trees, out of which the following varieties: Leccino, Pendolino, Buža and Bilika. These varieties get blended and sold as such. The harvest is an early one and the processing is done immediately the same day in order to preserve the best qualities contained in oil.